garvald.org.uk | The website for Garvald and Morham villages in East Lothian. Run by volunteers, providing the community with up-to-date news. Community Kitchen Haddington exists to help reduce access deprivation and social isolation in the Haddington and Lammermuir areas, by providing delicious home cooked food to people and allowing for friendships to form. 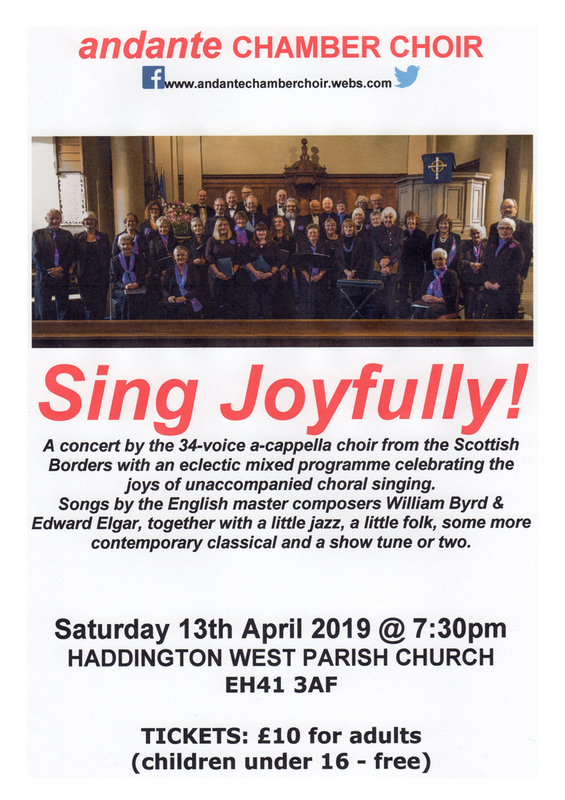 It runs at Haddington Bowling Club on a Wednesday and Thursday from 12.30 pm and we ask for a donation of up to £4.00. People from the Garvald and Morham area are very welcome and the organisation is happy to provide some transport there and back if required. Age or ability isn’t a barrier. People from all ages and abilities come together naturally. It’s a fantastic atmosphere and people are enjoying food and making friends naturally. For more information, see their Facebook page, Our Community Kitchen East Lothian. This entry was posted in Events on April 17, 2019 by Admin. A reminder that all are welcome to attend the traditional Easter services. The Maundy Thursday service to will be held in Garvald Church on Thursday 19th March at 6.30 pm. On Easter Sunday there will be a service in Garvald Church at 9.30 am. This entry was posted in Church on April 15, 2019 by Admin. 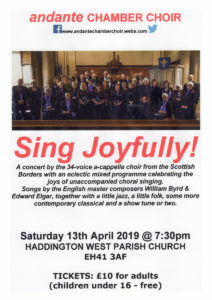 Concert this Saturday at Haddington West Church, 7.30pm. All are welcome. This entry was posted in Events on April 9, 2019 by Admin. ..due to the wet weather. We’ll try again late April/early May. Garvald Primary 7s. This entry was posted in Fundraisers on April 7, 2019 by GHS admin. Car need a wash? Leaves need swept up? Logs need stacked? Some of the primary 7s at Yester Primary School will be knocking on doors in Garvald on Sunday afternoon seeking tidying up tasks, in return for a small donation. This is part of fundraising towards the whole class residential trip away in June. 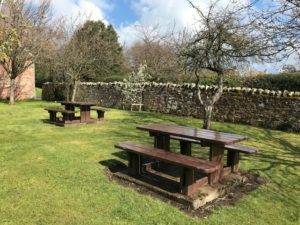 They will be going to the Benmore outdoor learning centre in Argyll, where they will do lots of exciting, adventurous things away from parents and devices. Pupils are doing a variety of fundraising tasks in small groups to contribute to the overall fund. They will be under (loose) parental supervision – the idea being that the kids are doing the task themselves! All donations very gratefully received. Any questions – get in touch with Jo or Kathleen via the contact form. This entry was posted in Fundraisers on April 3, 2019 by GHS admin. A reminder that the mobile Post Office visits Garvald Village Hall every Thursday 9.30-11.30. As part of this outreach service the Post Office accepts all mail and provides banking facilities for most high street banks (deposits and withdrawals, bill payments for council tax and rent). This entry was posted in Post Office on April 3, 2019 by Admin. There will be a Sound Bath relaxation session run by Kelly at Garvald village hall on Wednesday 17th April 7pm – 8pm. Cost £8 – Spaces are limited please message to secure your space. Relax and rejuvenate to the soothing sound and vibration of quartz crystal singing bowls. Please complete the form and then click the 'Send' button. This entry was posted in Events on March 29, 2019 by Admin.